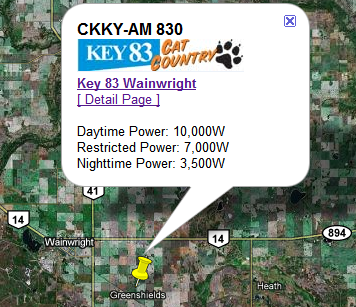 The AHTR Callsign Database provides technical information on licensed public broadcast stations in Canada. Coming soon: Online Stream List - Skip the ads, the time limits, and the flash player: Go directly to the stream URL for rapid access, or use on dedicated internet radios or mobile devices. In progress: Map view, and updating Edmonton TV station list to reflect new digital CITV-DT and CKEM-DT. to aid in antenna aiming, reception troubleshooting or for DX enthusiasts. This will include broadcast AM and FM, Analog and Digital television, and Weatheradio stations. Search the database directly for stations.